Parlez-vous Francais? If the answer is no, or if you didn’t understand the question, then you need to brush up on your French. You could buy a tape to listen to on your daily commute, or you could immerse yourself in the culture, food and language in France. All you have to do is plan a trip with Ever Thought of Trying and soon you will be ordering macarons from a patisserie, adventurously requesting (or politely declining) the escargot and frog legs in an elegant restaurant, and discussing the news of the day over a cup of coffee in a charming café. With the language-immersion experience in Paris, you will take classes in small groups to work on grammar, vocabulary, and written communication by reading local newspapers, practicing conversations and receiving individual attention from experienced teachers. 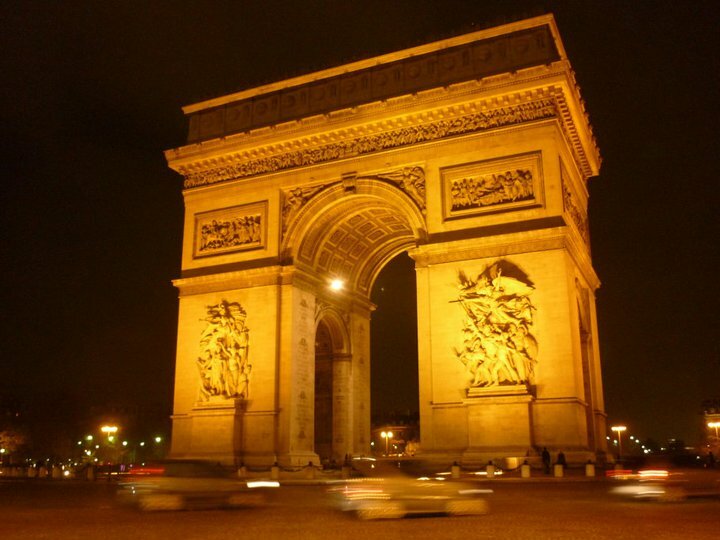 To further plunge yourself into the culture, you can stay with a French family in Paris. Your accommodation includes your own room and bathroom, Wi-Fi, and welcoming hosts who are eager to help you learn the language and traditions. Any length of time is available for your trip, from one week to twelve, so you can stay as long as you like. While in Paris you will have the privilege of seeing some of the world’s most famous and beautiful art, architecture and landscapes. You could spend the whole day in the Louvre and still not see all of the masterpieces that call the museum home. For Impressionist Art enthusiasts, the Musee d’Orsay and Musee de l’Orange are sure to impress. Paris is known for its Beaux-arts architecture, which can be found all around the city, but the most beautiful buildings are the churches. Notre Dame is one of the most recognizable structures in Paris, and the Basilica of the Sacre Coeur, a striking white stone building perched atop Montmartre, may be the most stunning. For shopaholics, the Champs Elysees has all you need to blend in with the most fashion forward in Paris. At night, catch dinner and a show at the Moulin Rouge and finish with a boat cruise on the Seine. But if you want to see more than the Eiffel Tower and Arc de Triomphe, France has more to offer. The Palace of Versailles is a short train ride away and should be a must-see on your list. Jump on a tour to see the elaborate and elegant palace, then take your time wandering the grounds that are pruned to perfection. Or you could head to the Pere Lachaise Cemetery to visit the gravesites of notable residents such as Oscar Wilde, Chopin and Jim Morrison. In Paris you can walk where famous artists and poets have walked, dine where the most talented chefs cook, and learn the language of love in Europe’s most romantic city. Read more about this experience here. Written by Sam Urbanski, whom I had the pleasure of meeting on her trip through Europe! See her blog Travel Savvy Sam for more of her great articles.